There are currently 3,594 users on this website. One set of The U.N. 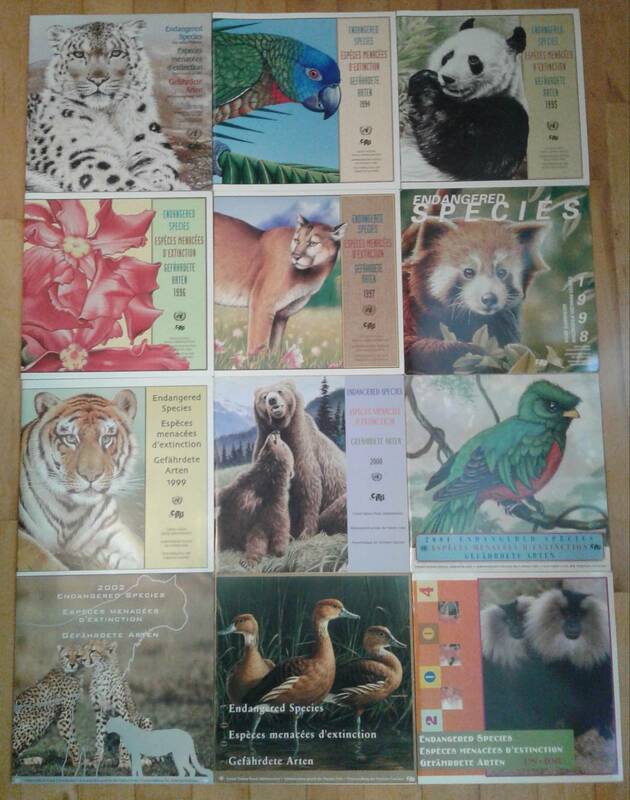 Endangered Species Series Folders complete from first issue in 1993 to 2015. In original purchased condition, like new. None issued in 2016. Only missing 2017 and 2018 to complete to date. Issue price total was U.S. $250.00+. Will sell for $100.00 U.S. Buyer pays for expedited shipping cost- will vary depending on location. 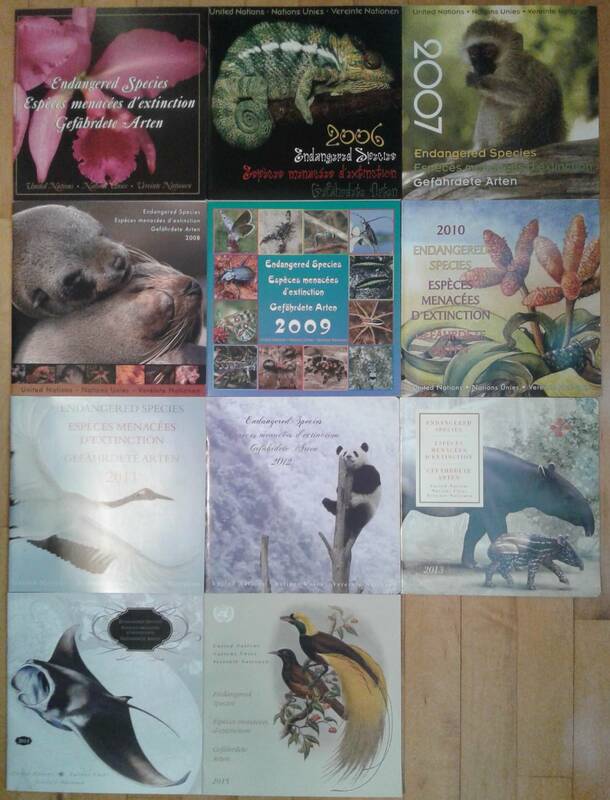 First 2 sets of pictures is of all the books included. 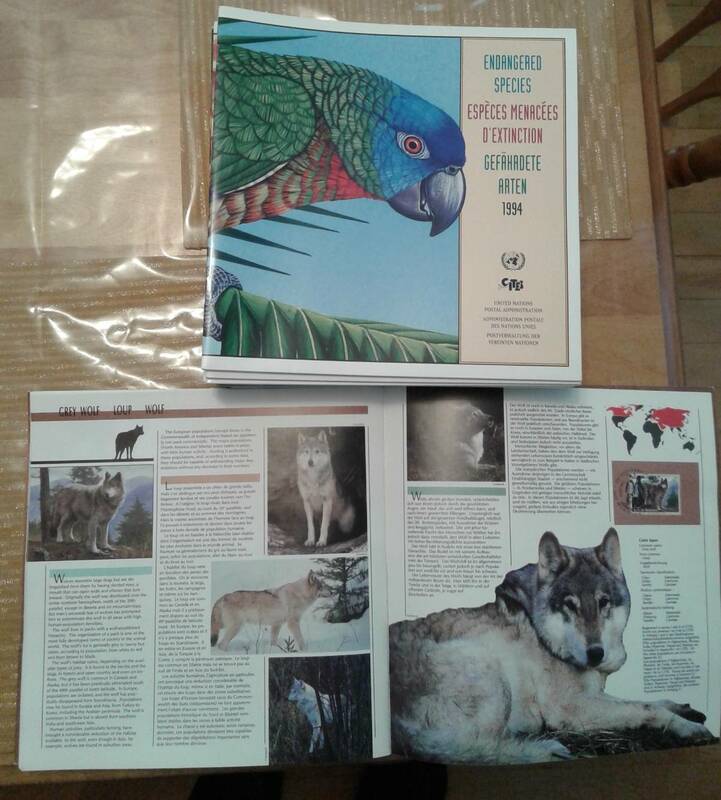 3rd image is of a single cover closeup and a sample of information and what is actually inside the book. Each contains information in three languages of English, French, and Austrian language. I will accept cash, Money Orders, Travellers cheques, personal checque drawn on U.S. or Canadian bank. Interac bank transfer. U.S. cheque please allow 30 day clearance. If interested please contact me through scf mail.